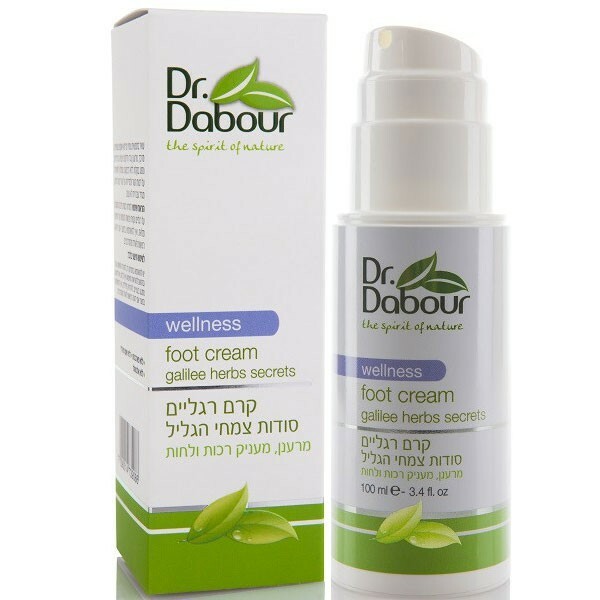 Nourishing foot cream based on plant extracts and oils for the treatment of dry, cracked skin of the feet. Enriched with natural oils, cream effectively moisturizes and softens dry skin, prevents cracking, refreshing foot and reduces fatigue. The cream is easily absorbed and does not leave a fat film on the skin, provides a feeling of comfort for a long time. In clinical trials, the cream has shown good results in the treatment of diabetic foot infections, prevention of fungal diseases and effectively eliminate unpleasant odor. How to use: Apply a thin layer to cleansed skin with light massage until completely absorbed. For optimal results, it is recommended to use at least twice a day, morning and evening. Purified Aqua, Cetearyl alcohol & Cetaryl Glucoside, Olea Europaea (Olive Oil), Rosmarinus Officinalis (Rosemary) Leaf Extract, Glycerine, Tea Tree Oil, Palm Oil, Buxus Chinensis (Jojoba) Oil, Mint Extract, Camellia Sinensis (Green Tea) Leaf Extract (and) Schinopsis Quebracho-Colorado (Quebracho) Wood Extract, Ricinus Communis (Castor) Seed Oil, Glyceryl Stearate, Squalane, Butyrospermum Parkii (Shea) Butter, Persea Gratissima (Avocado) Oil, Olea Europaea (Olive) Leaves Extract, Phenoxyethanol, Tocopherol (Vitamin E), Potassium Sorbate, Fragrance, Citric Acid, Salvia Officinalis (Sage) Leaf Extract, Lavandula Angustifolia (Lavender) Extract.